Its Sunday 30th October, and we are ready for the Halloween celebrations to begin! 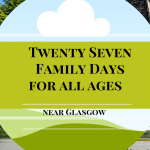 And what better way as a family to get out to the wonderful Pollok House and surrounding gardens & park, and enjoy another great National Trust for Scotland planned event. 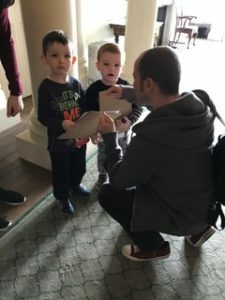 We were surely spoiled by the Halloween Trail this year, and the kids loved it! 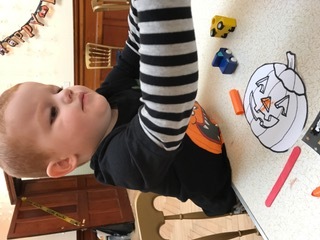 Like most families we are always looking for ways to have fun but without a large financial price tag – and our National Trust for Scotland membership is ideal. For the same cost as one cinema ticket a month, our whole family can go free to any property in the UK and we have a day out for free. With most properties featuring along side of a park or surrounding countryside, there is endless possibilities to tire out little feet and get outside in the fresh air. Pollok House is a regular place for us living in the Southside of Glasgow, and this year’s Halloween event was a lovely little “treasure hunt” round the house trying to find all the hidden skull pictures, followed by a great selection of activities such as face-painting, crafts and a drink & sweetie for each child. At £5 per child attending, they definitely tried to make sure value was had as well as giving a donation to the NTS. 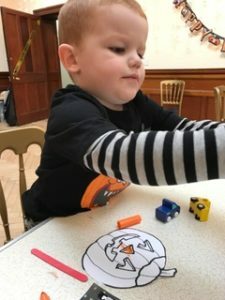 The hunt was great for our children, aged between 3 and 6, and I think really age 3 to 11 years old would have enjoyed this excuse to get dressed up another day before Halloween and have a few hours activity of just good clean fun. 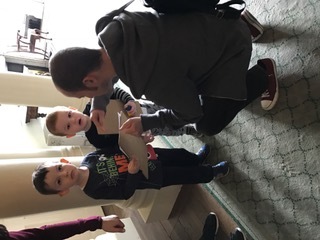 Certainly we weren’t the only one at the property for this reason, and it was lovely to see so many families enjoying the NTS activity. 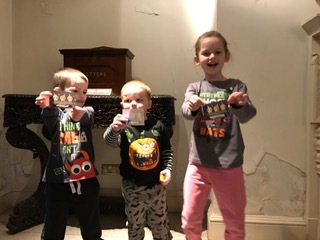 With the endless opportunities to have a family day out, and the NTS special events, our membership again hasn’t let us down. What I learned this Christmas 2014….